Rural house a few kilometers from the city. Property 18: Rural house a few kilometers from the city. Property 20: for a weekend and more with family or group. Property 25: Authentic mountain chalet with stunning views. 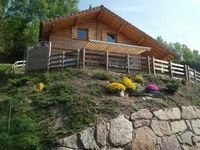 Gérardmer beautiful chalet 6 people near lake and downtown with wi-fi. 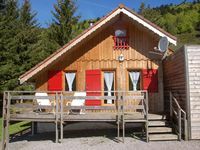 Property 31: Gérardmer beautiful chalet 6 people near lake and downtown with wi-fi. The house looks exactly like on the pictures. It&rsquo;s very comfortable! In a beautiful neighborhood on the hill, 10-15 min walk to the hiking trails the forest. Clean, fully equipped and with a fast internet connection. There is a small, basic grocery store right in the village and a supermarket 10min drive. The host, Francois, was very helpful and very friendly! We&rsquo;d be happy to come back. un chalet tout confort bien situ&eacute; pour faire de nombreux voyages. c'est la deuxi&egrave;me fois que nous restons l&agrave;-bas. le chalet est enti&egrave;rement &eacute;quip&eacute;. l'emplacement est id&eacute;al pour faire du v&eacute;lo ou de la marche. les propri&eacute;taires sont tr&egrave;s utiles.